Home 2019 Married Secret Service Agents Worked Cases and Raised Family in O.C. Jim and Mary Davidson. Photo by Sean Teegarden. 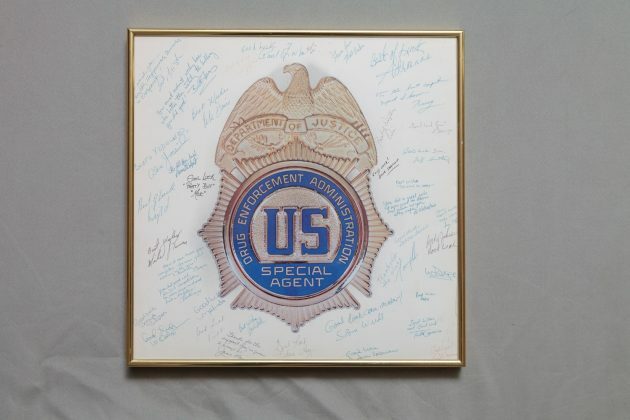 On Mary Logue’s first day as a Secret Service agent in 1981, her supervisor showed her a series of graphic autopsy photographs of the last female agent hired in the Los Angeles office. Julie Cross was killed the previous year while she and her partner were investigating a counterfeiting operation near LAX. The supervisor then showed Logue the agents’ car, which was being held for evidence, with blood streaking the upholstery. The next day, an agent drove Logue to the spot where Cross and her partner were parked staking out a house when two men approached. During a scuffle, one suspect managed to grab the agents’ shotgun that was on the front seat of their sedan and fired twice at Cross. The supervisor pointed out holes in the pavement from the shotgun blasts. 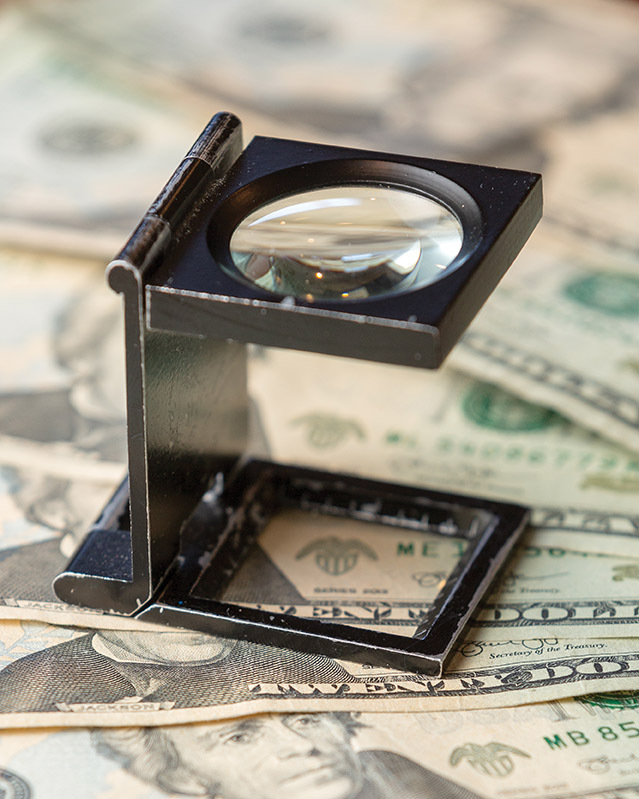 In addition to protecting the nation’s leaders and foreign dignitaries, the majority of the agents’ work involves investigations, including counterfeiting and financial fraud. Logue’s first assignment was the “check squad,” which investigated stolen or counterfeit government checks. She made five arrests during her first month and was dubbed “Lock-Em-Up-Logue.” The tests soon stopped. She married another agent, Jim Davidson, and took his last name. 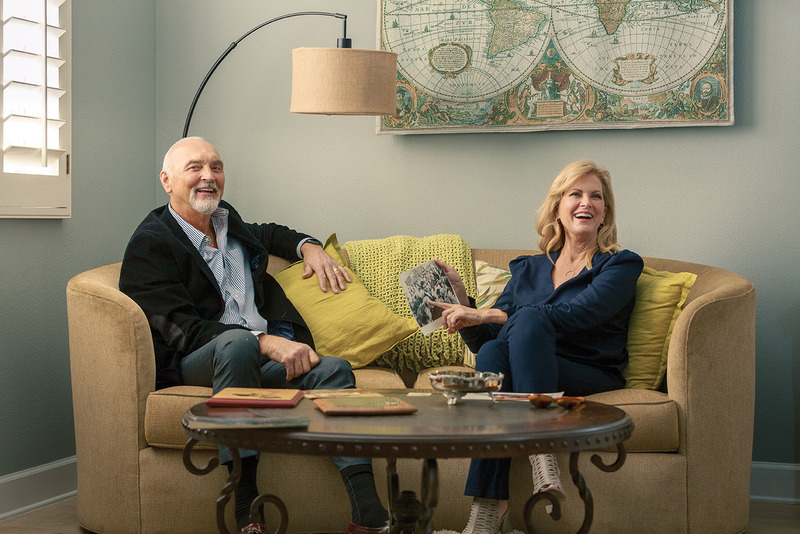 When she was assigned to the Santa Ana resident office, the couple moved to Laguna Niguel and later settled in San Juan Capistrano. 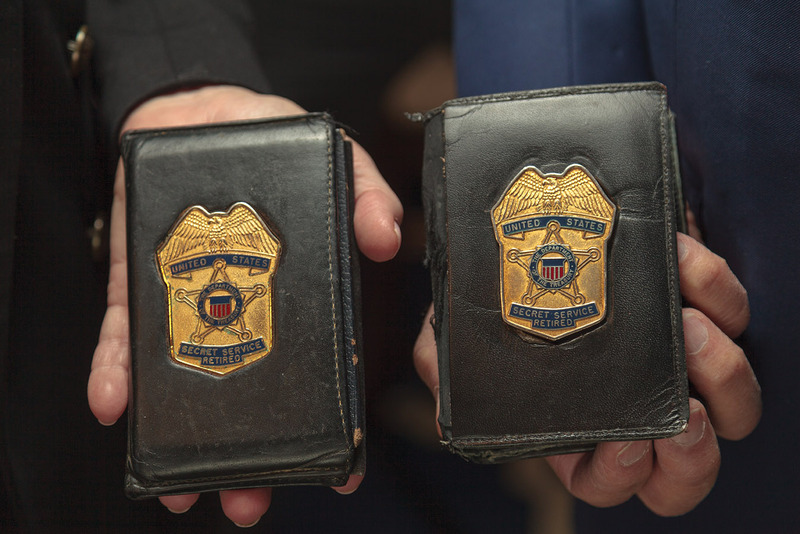 Mary headed a number of major Orange County investigations, including a counterfeiting case in the late 1990s that stemmed from an arrest in Brea. 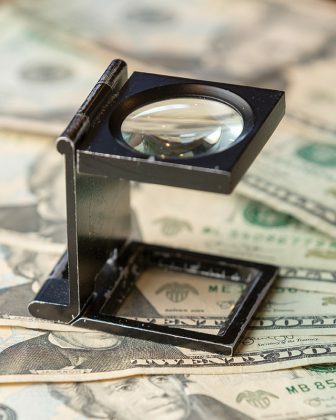 That arrest resulted in busts in Colombia and the suppression of one-third of all counterfeit currency originating outside the U.S.
Before they started dating, Jim and Mary became accustomed to working together on the counterfeit squad. The couple raised their children in Orange County, two of whom graduated from JSerra Catholic High School in San Juan Capistrano. 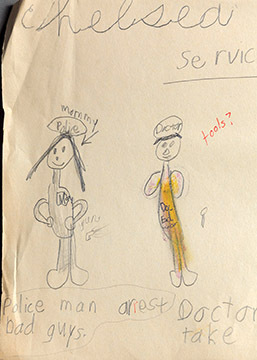 The Davidsons were always a hit at career day, and they still chuckle when they see the photo of their son wearing Mary’s bulletproof vest after she visited his first-grade class. Jim was on the board of directors for the San Juan Capistrano Chamber of Commerce, and he spent 24 years in the Secret Service, where he protected presidents at work and at leisure. 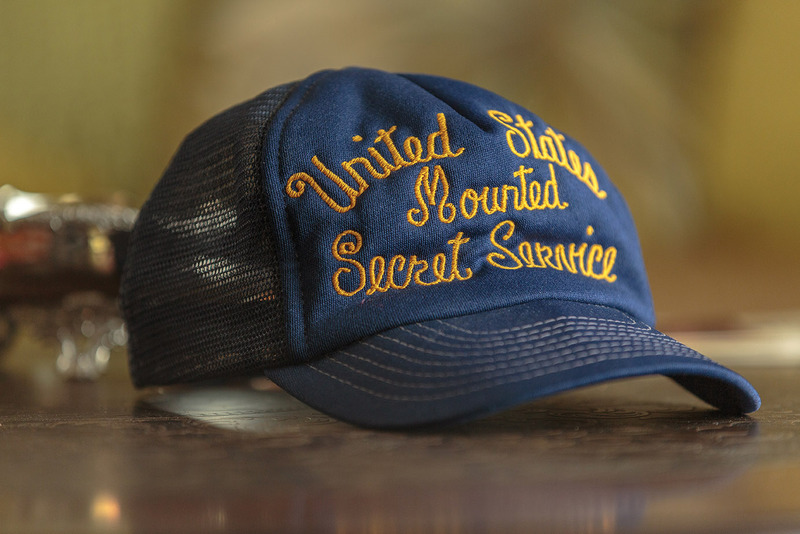 He rode horses with Ronald Reagan, skied with Gerald Ford, and jogged with Jimmy Carter. During his many undercover operations, he rode a chopper with the Mexican Mafia to track down a major counterfeiting operation. He also posed as a drug dealer from the South as part of a multi-agency federal task force. “I had to play the part, so I drove a little two-seater Mercedes and went to the tanning salon every morning,” he says, laughing. The investigation resulted in the arrest of 10 major cocaine traffickers who were smuggling dozens of kilos a week—sometimes a day—from Colombia. After leaving the Secret Service in 1999, Jim obtained his private investigator’s license and specialized in asset recovery. He eventually expanded his scope and founded Davidson Global Security, which provides protection, investigation, and safety and surveillance services. 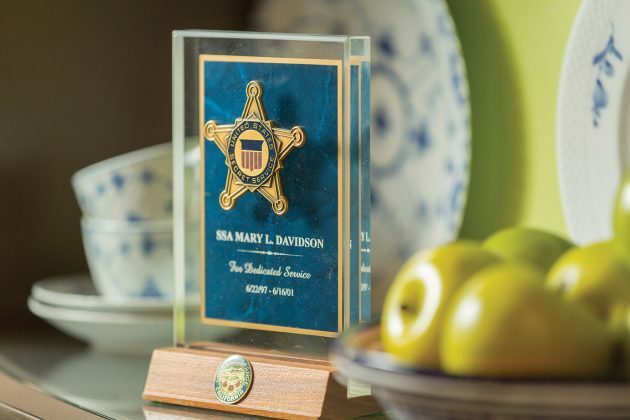 Mary retired from the Secret Service in 2001, and the next year Jim took a leave from his business, sold the house, and the couple and their children spent a year traveling around the world, visiting 36 countries. They wanted to show their children some of the fascinating places they saw while working as agents. 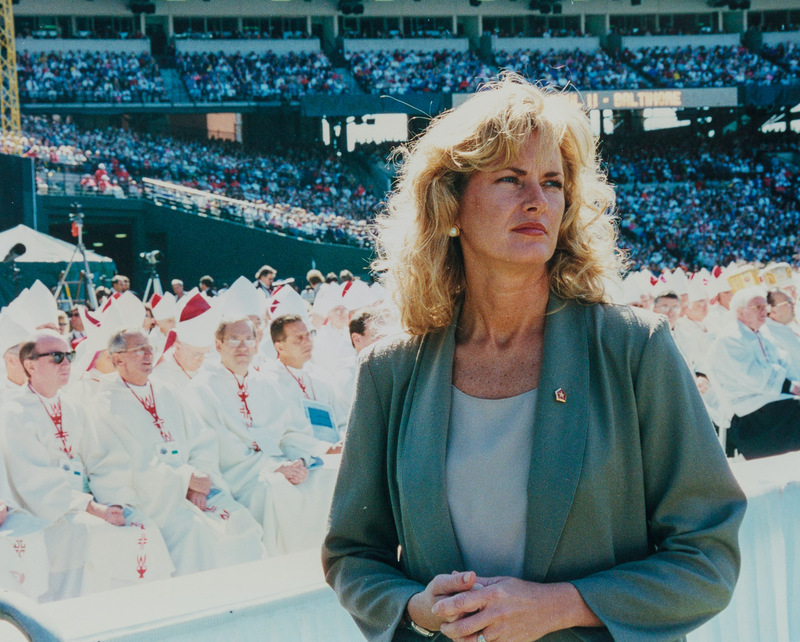 Protecting Pope John Paul II in Baltimore in October of 1995. Mary at age 4, looking like a future Secret Service agent, at Fort McHenry in Baltimore. 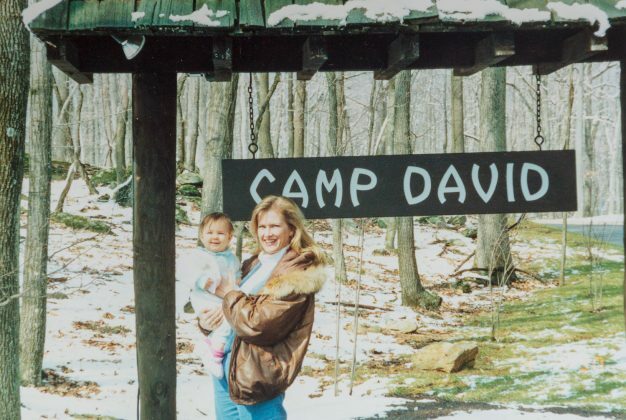 The Davidsons’ daughter joins her Mom for a working weekend at the Presidential retreat in 1990. Mary was a science major at the University of Maryland when she saw an intriguing elective course: criminal investigation. At the end of the semester, she was so fascinated she decided to change her major to criminal justice and pursue a career in law enforcement. As graduation approached in 1980, her adviser suggested she apply for a job with the federal government rather than a city police department. He said federal agencies were more open-minded toward women. 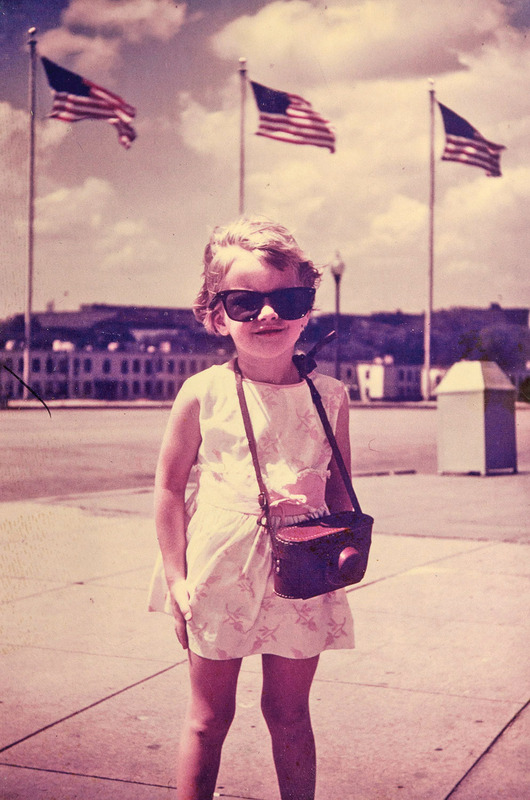 Mary was considering the FBI, CIA, and Drug Enforcement Administration. 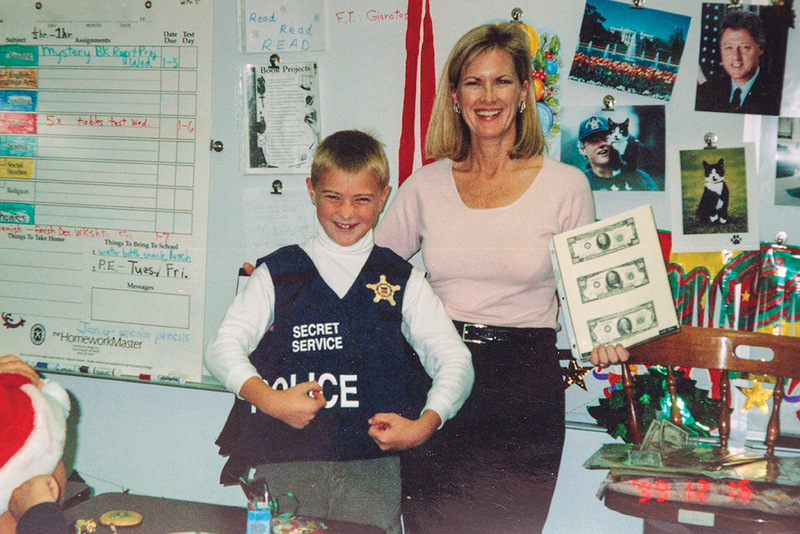 When the adviser mentioned Secret Service, she wasn’t interested because she believed they were simply bodyguards. When she learned Secret Service was the law enforcement agency for the Department of the Treasury and agents had extensive investigative duties, she applied. One of her biggest cases stemmed from when she was working as the duty agent on call in the Santa Ana office and she received a tip from the Brea Police Department. Two men were arrested trying to pass a counterfeit $100 bill at a pizza parlor in the Brea Mall. The men claimed they didn’t know the bill was counterfeit. Mary asked if she could search their vehicle—a BMW owned by the father of one of the men. In the glove compartment, she found a stack of counterfeit bills. Obviously, the men were lying. She tracked down two men who had charged the passers in the BMW $50 for each counterfeit $100. They were brothers from Colombia, and Mary persuaded them to cooperate. They led her to a storage locker in Anaheim and showed her a hanging garment bag that was used when a mule traveled from Bogotá to the U.S. She cut it open and discovered $100,000 in counterfeit bills. “When I saw that, we were off to the races. I went to Bogotá with a group of agents and found the distributor. Then it was off to Cali, where the bills were being printed. They’d bleach genuine $1 bills and then print hundreds. I had an informant I would meet at a pew at a Cali church, and he told me when the next shipment was going out. We can’t make arrests outside the U.S., but we had phone taps and surveillance. The next mule with the bills sewn in the garment bag was arrested in Miami. Another Orange County counterfeiting case stemmed from a discovery by a sharp-eyed cafeteria worker at Dana Hills High School. At the end of the day, the worker was counting money from the till when she noticed a crude counterfeit bill. The next day, she was on alert. When a football player attempted to pay for lunch with another phony bill, she shouted, “Hey, this isn’t real.” He attempted to run, but she chased him down and grabbed him. School officials called the Sheriff’s Department, who contacted Mary. Jim recalls his years as an agent with shining eyes and great relish, laughing at the memories, the busts, the close calls, the foreign travel. But he didn’t start with his sights set there. He was a football star at Oregon State, an offensive lineman and team captain. Signed by the L.A. Rams as a free agent, he played in the preseason, but an injury ended his career. “Big Jim,” as he was known in the Secret Service, was 6-foot-4 and 270 pounds in his playing days. Now he’s a lean 218 but still has the build of an athlete. Jim is writing a book on the case and still running his firm. He and Mary live in the Palm Springs area. Mary advises a firm that provides security assessment to schools and works as a consultant for an agency that protects celebrities, some of whom are dealing with threats and stalkers. She is still nostalgic about her days as an agent. 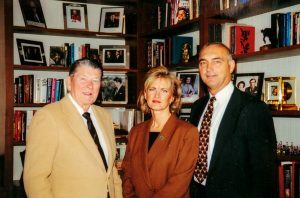 Mary & Jim visit former President Reagan at his office in Century City in the late 1990s. President Jimmy Carter: He was quite distant, Davidson says. He jogged with Carter five days a week for two years and never exchanged a word with him. President Bill Clinton: The 42nd president enjoyed interacting with the agents and was happy to pose for pictures when Davidson was walking his nephew through the White House one weekend. When Reagan traveled to Tokyo, jittery Secret Service agents were having a security meeting at the hotel command post. Reagan stopped by the meeting and, hoping to reassure the agents, told them: “If the motorcade needs to be changed, change it. If there’s a site that has bad intelligence, drop it. Whatever I can do to make the security better, I’ll do it. I totally support whatever you need to do.” He then turned around and walked out the door. Pinned to the back of his jacket was a bull’s-eye. Previous articleCan Faith Bring Back a Sickly but Beloved Olive Tree?